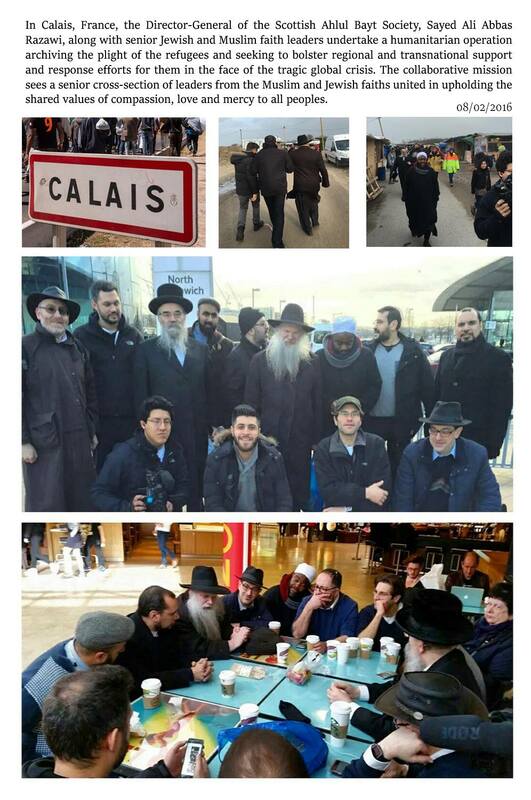 08/02/2016 – Imams and Rabbis in Calais to jointly help refugees. 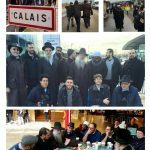 In Calais, France, the Director-General of the Scottish Ahlul Bayt Society, Sheikh Sayed Ali Abass Razawi, along with senior Jewish and Muslim faith leaders undertake a humanitarian operation archiving the plight of the refugees and seeking to bolster regional and transnational support and response efforts for them in the face of the tragic global crisis. The collaborative mission sees a senior cross-section of leaders from the Muslim and Jewish faiths united in upholding the shared values of compassion, love and mercy to all peoples.